Alongside flows of trade and capital, the free movement of professionals, technical personnel, and students is seen as a key aspect of globalization. Yet not much detailed empirical research has been completed about the trajectories and experiences of these highly skilled or highly educated international migrants. What little is known about these forms of "global mobility," and the politics that surround them, contrasts with the abundant theories and accounts of other types of international migration--such as low income economic migration from less developed to core countries in the international political economy. Drawing on the work of a long-standing discussion group at the Center for Comparative and Global Research of UCLA's International Institute, this collection bridges conventional methodological divides, bringing together political scientists, sociologists, demographers, and ethnographers. It explores the reality behind assumptions about these new global migration trends. 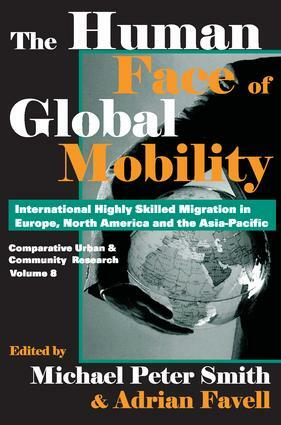 It challenges widely held views about the elite characteristics of these migrants, the costs and consequences of the brain drain said to follow from the migration of skilled workers, the determinants of national policies on high skilled migrants, and the presumed "effortlessness" of professional mobility in an integrating world. The volume also sheds new light on international student migration, the politics of temporary, non-immigrant workers in the United States, new international forms of regulating movement, and the realities of the everyday lives of multinational employees in the world's transnational cities. Key differences between the regional contexts of this migration in Europe, North America, and the Asia-Pacific are also emphasized. “The Best and the Brightest”: Immigrant Professionals in the U.S.
Disaggregating Immigration Policy: The Politics of Skilled Labor Recruitment in the U.S. Interests and Institutions in Skilled Migration: Comparing Flows in the IT and Nursing Sectors in the U.S.
Students without Borders? Migratory Decision-Making among International Graduate Students in the U.S.